FORD CELEBRATES 5 DECADES OF THE WORLD'S FAVORITE PONY CAR BY ADDING A LIMITED EDITION TRIM TO THE LINEUP! 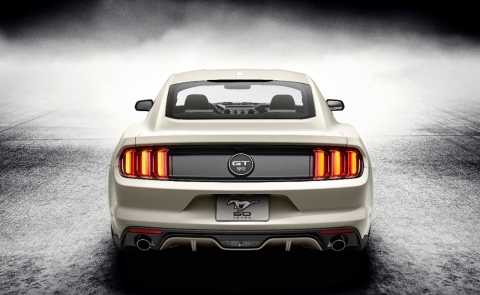 In celebration of 50 years, Ford is revealing a Limited Edition Mustang for 2015. In honor of the very first year of the mustang (1964), Ford is reportedly only producing 1,964 Limited Mustangs. Ever. This very exclusive pony car will come FULLY LOADED, with the only options being Manual or Automatic transmission, and Wimbledon White or Kona Blue. We like how Ford has kept the Mustang heritage strong....what was your favorite year for the Mustang? Contact Novlan Bros Sales for more information and availability of this rare beauty!